Although less famous than in its sister city Pompeii, Herculaneum is the better preserved of the two. Spread over a smaller area, the town boasts of a heritage dating back to the 6th century BC. 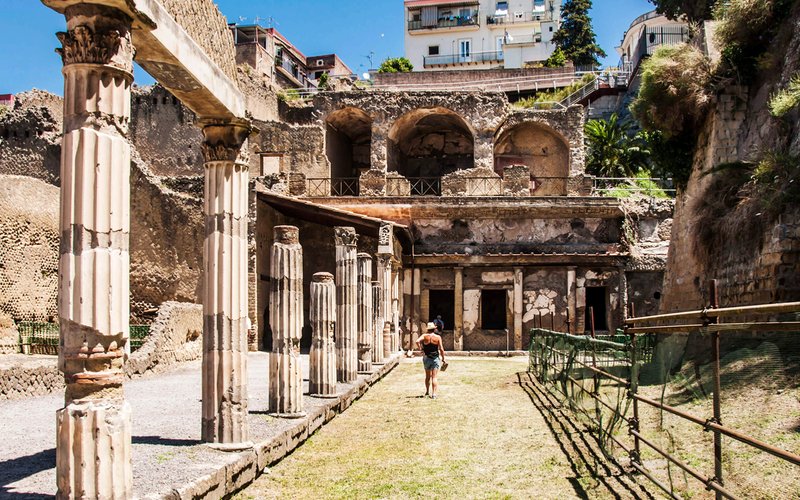 A town richer than Pompeii, Herculaneum showcases rich Greco-Roman antiquities in a near perfect state. Herculaneum is famous for its long ticket queues, but your tour leader will help you procure tickets to the ruins upon arrival. Skip past the long queues and make your way into the ancient town for an adventure unlike any other. Nothing can prepare you for what you’re about to see. Marble bathhouses, extravagant frescoes, intricate busts, and everything else carefully preserved by nature thanks to the volcanic ash and debris. Take it all in as you navigate through the cobbled streets and peer into the window of the past. Whether you’re a historian or not, this is an experience that will be forever etched in your memory. Get picked up from your accommodation in central Naples and head towards one of Italy’s most iconic sites, Herculaneum, on a half-day tour. Located 20-minutes from the city, Herculaneum is one of the greatest archaeological finds owing to its near-perfect preserved state. Drive down on the air-conditioned GT coach with onboard commentary on the site and prepare yourself for a one-of-a-kind experience. Upon arrival, you will be greeted with visuals from over two millennia ago. After purchasing the admission ticket (your tour leader will assist you with this), its time to step into the ruins and explore. See houses with upper floors intact, the majestic basilica, the marble bathhouses, the large spa complex and many more sights which make up the famous ruins. You will also be able to study Vesuvian art by viewing frescos, murals, paintings, and busts all preserved as they were. A truly fascinating experience! After your tour is done, it’s time to head back to Naples to look back upon the memories and stories you’ve been part of on the day. Discover the ruins of Herculaneum, an ancient town which suffered the same fate as Pompeii. The guided tour of Herculaneum ruins tickets not included in the ticket price. There is an entrance fee of €11 which you can pay for upon arrival. Your guide will assist you in the process and ensure you make the most of your time. The tour starts at 8:30 AM daily and goes on for a duration of 3 hours. Please ensure you are ready at least 15 minutes before your pick-up to ensure a hassle-free boarding process. You should be back in Naples by 12 PM. You will receive an email with your Herculaneum Half-Day Tour ticket voucher shortly. You don’t need to take a print of this. Just show the voucher on your mobile device along with a valid photo ID when your tour guide comes to pick you up. Please be ready at least 15 minutes prior to ensure a prompt and timely pick-up. 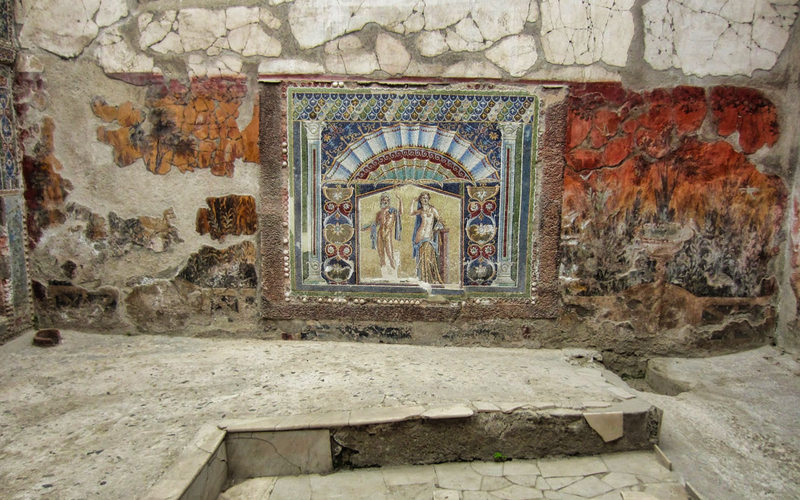 The Herculaneum Half-Day Tour ticket is valid only for the date and time for which you’ve scheduled the booking.